Premier League side West Ham United are keen on a loan move for highly rated Chelsea midfielder Ruben Loftus-Cheek when the transfer window reopens in January. The 22-year-old has been in fine form of late for the Blues and that has attracted the interest of the Hammers. West Ham United are prepared to offer him more playing time than what he’s getting at Chelsea at the moment. 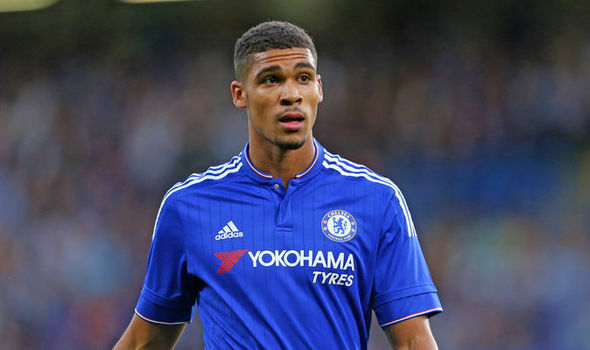 According to the publication from popular English news outlet Daily Mirror, new Blues boss Maurizio Sarri is opposed to the idea of Loftus-Cheek going out on loan until the end of the season. The Italian tactician wants to keep the England international star at Stamford Bridge until the end of the season. Apart from West Ham United, fellow London club Crystal Palace are also said to be interested in a move for the Chelsea Academy graduate. He had earlier spent the whole of last season with the Eagles. Loftus-Cheek impressed a great deal while he was on a season-long loan deal to Palace. His impressive performances propelled him into the 23-man England squad for this summer’s FIFA World Cup tournament in Russia. He was part of the England squad that finished fourth at the tournament.